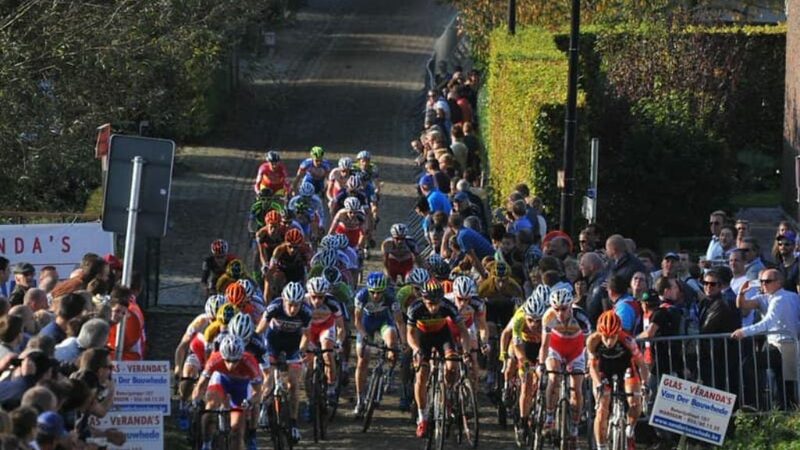 The slopes of the Koppenberg are the stuff of legend–each the spring, it is a staple climb in the Tour of Flanders, and each fall the cobbles again take center stage as the best cyclocross racers in the world climb the brutal incline over and over again during Koppenbergcross. Tens of thousands of fans climb the grassy cow pastures alongside the road to watch riders wrestle up the slopes, which top out at 22 percent. Koppenbergcross is distinctive, even by Belgian cyclocross standards. There are no sand pits. No barriers. No dismounts whatsoever (unless it’s raining, and the cobbles turn into slimy, slippery bricks). This course is purely about smashing uphill, keeping pace as the tape winds through the bumpy cow pasture up top, then holding on for dear life through the chicanes and high-speed descent back to the bottom. Do that over and over again for an hour, and you have yourself Koppenbergcross.